This is the slightly bigger sibling of the XC40. It's another dapper looking Volvo SUV with a dazzling design. The proportions are equitable and the sharp creases, curves and long sculpted bonnet, give it a nonchalant demeanour and a refined sense of strength and style. The XC60 also has an authoritative street presence. Volvo claims that all the seats are designed to "complement the human form". They are not just plush and cushy, but the ones in front also afford a terrific view. The A-pillars do impede visibility a bit and the low roofline means you have to bend slightly to get in. The Volvo XC60 has the most fascinating wiper/washer system ever, with each blade literally having a mini washer sprinkler system in it! This sprinkler works in tandem with the movement and speed of the blades. You can hardly see the washer fluid as it forcefully wets the portion immediately ahead of the blades. It appears almost as if there is a 'wet wipe' built into the blades. 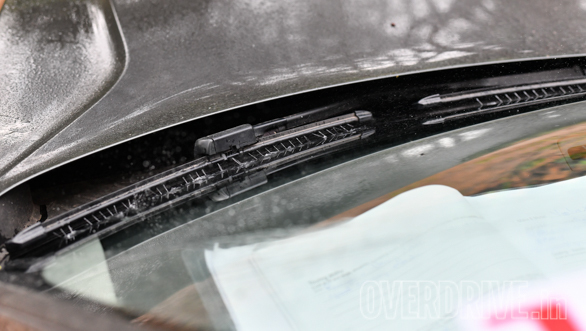 The end result is like using a sponge soaked in cleaning detergent to wash the glass, with the wiper simultaneously clearing away the entire residue. Watching this wiper/washer system, is witnessing one of the greatest coordinated external movements in a vehicle. 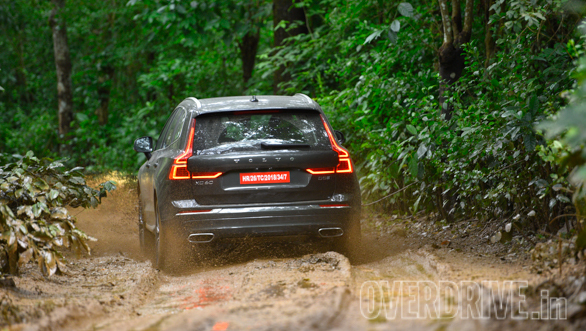 This SUV has stupendous ground clearance of 216mm and 223mm with the suspension raised! The all-wheel drive system has drive modes similar to the XC40, but the XC60 also comes with height adjustable air suspension on all four corners. 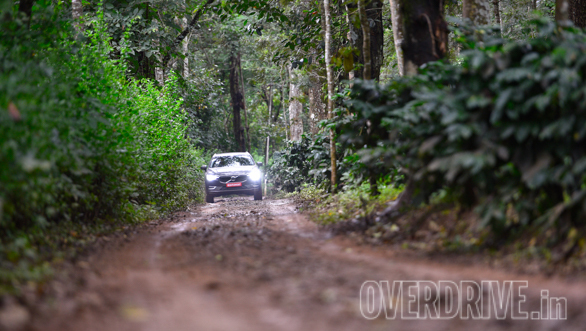 In off-road drive mode the suspension is raised to its maximum height and maximises the vehicle's ability to traverse difficult terrain or poor roads. It has a camera with a 360 degree view, and the spare wheel and jack and tools are placed in the boot and easy to reach. The boot space could be better, but the luggage section is wisely designed to make optimum use of room available. The engine is the most powerful in its category, but it's a relaxed sort of performer and needs to be pushed for speedy progress. High speed stability is superb and the range is near 875km. 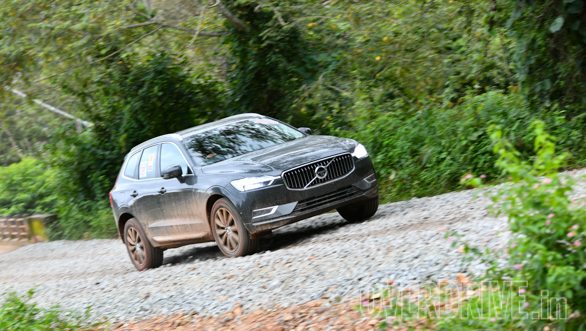 The timing once more displays Volvo's preference to set its SUVs up for stability and safety, and not outright speed.